Stop Pretending To Be Okay, When You Are Not! You are a whole new person. You have changed so much that you are unable to recognize yourself. You smile so wide, while deep within you remain hallow; you cry your lungs out when no one's really watching; your favorite food is just a normal meal anymore; you seek comfort in darkness and solitude; you loathe yourself and consider yourself to be the burden for everyone around you; nothing around you makes sense; the life you have built all these days memory by memory, experience by experience, one step at a time, seems to be collapsed, and you are buried deep down the debris with no way out! If any of these sounds familiar, then you should know that you are NOT ALONE! These are a few common feelings one goes through during the depression phase. As a part of #LetsFightTogether Campaign for Depression Awareness Month, WannaThankYou conducted a survey among individuals from various background, and believe us, the results are totally overwhelming! The survey is an eye-opener not just for us, but for everyone who either thinks "I need to face it alone", or "Depression is not even a topic to be discussed". Depression is something that comes to you unannounced. One minute you are happy, dancing, singing and feeling alive. But the very next moment you can feel your life crashing in front of your eyes. This is how it came to me. My first thought was, is it only me? and why me? There was a time, when all I did was cry. Lock the room and cry. Nobody was there to listen to and nobody to understand and share. I felt disconnected. I craved for relations, people and most importantly a guide to take me out of all these..
How Would You Know that Someone is Depressed? "According to me, depression is anything but a disease. 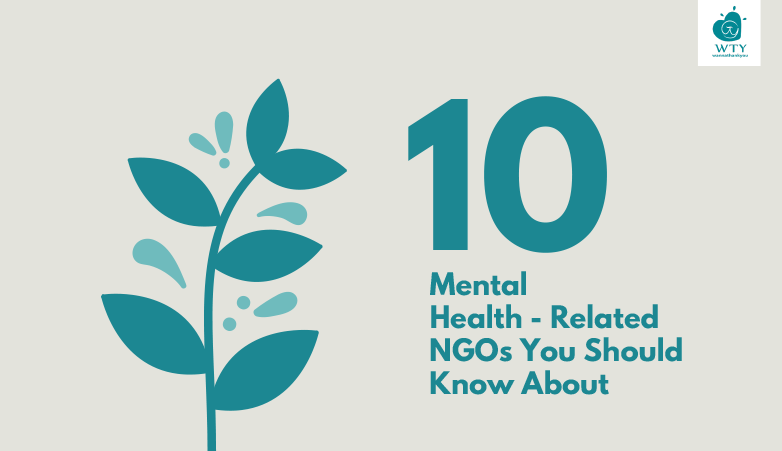 It is a state of mental health which then goes onto having an overall impact. There are no set patterns/symptoms to depression as it’s a subjective matter. But there is one feeling which I think is threaded amongst everyone which is also a birth giver to depression and that is solidarity. It is a feeling of feeling lonely, isolated, aloneness everywhere leading to having lost all purposes to live" says one of our respondents. "They would always be sad and most of the time lost in thoughts. Nothing can cheer them up much. They would try to avoid and stay away from people and the crowd. Basically, they try to become invisible" observes another respondent. What should a Depressed Person Do? Seek help. There is nothing wrong in saying, 'I need help'. Go to your parents, friends, seek help from therapists. Only you have the power to heal yourself. A person must talk to his/ her close ones( friend, brother, sister, mother , father etc.) Should consult a counselor. Besides all this reiki and meditation is a big help. They have to spend lot of time with their family and hangout with friends. Stop listening to sad songs or doing something that makes their situation worse. Do things they like at their spare time and keep themselves busy. While there were many who responded with "Seek Help" advises, we also received few responses like below where they said they haven't figured things out yet. And we say, it's totally OKAY! I haven’t figured that out yet. Everything I’ve done so far has been useless. Though one thing that worked was: getting a pet. I got a pet because then I knew the pet needed me. It’s selfish and reckless but it kept me going. I devoted a lot of time and effort. On my really bad days I used to look at my pets and realise why I couldn’t leave them. There would be no one to take care of them (my family hates pets). I also made a list of reasons why I should live. I would suggest making this list on your better days because if you read the list on you’re worse days you start cancelling out a lot of the reasons and ending up with more reasons to die than to live. As much as it hurt every vein of ours to read the responses of our participants, we were pleased to see the messages they gave for anyone who's going through depression. Every respondent has made it clear that NO ONE IS ALONE and DEPRESSION CAN BE DEFEATED TOGETHER! Pour it out if that doesn’t help puke it out if even that doesn’t help pay it out (by that I mean take professional help) ‘cause trust me if you speak out today to me, to someone else, to the specialist, you’re only emerging stronger & courageous in the process you’re self discovering, self learning & all this is solving more than 50% of your hollowness. Save more lives, let’s fight this together!! I know it's tough for few to even accept that they are suffering with depression. It's ok, it's just a phase & it shall pass by soon. But what's important is to constantly repeat to your inner self that there is life after this. It's just a journey into a dark tunnel & light(life) resides on the other side of it. It's ok to seek help or to have someone to lean on. Fever has degree to measure, diabetes has types to distinguish, cancer has stages but Depression has no measure in particular. Nor its physical to point out where exactly it's hurting, but it simply exists. Proper guidance & a good venting out session does make a lot of difference. Take it slow, things don't change overnight. But keep the love about life alive. Depression may be a nightmare but it's a boon in disguise. You'll emerge out as a more stronger person. Good luck. We understand it's easier said than done. WannaThankYou is taking every possible steps to help anyone in need. 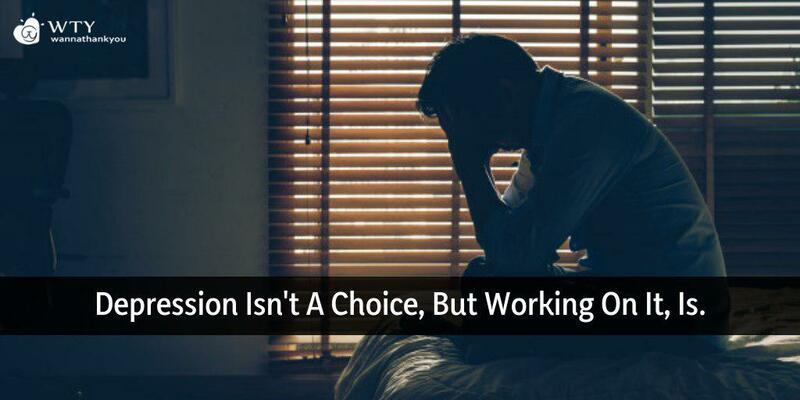 You might want to read Depression isn't a choice, but working on it is for more insights from the psychological experts. Stay connected for more updates! 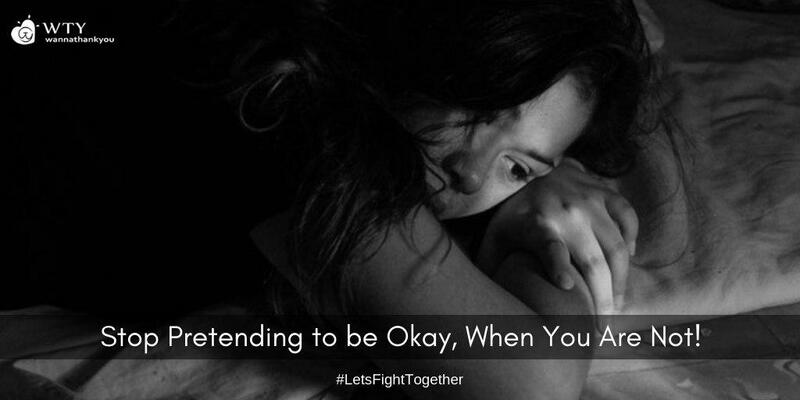 #LetsFightTogether.